“It is clear that Defra is severely lagging behind on making Countryside Stewardship (CS) agreement offers and payments, with thousands still waiting for the advance payments and even more waiting for final payments. “We are calling on Defra to make bridging payments to the value of 75% of the annual payment to those who have not received any payments and are fortunate enough to be in an agri-environment agreement. “With many ELS and HLS agreements now expiring we are seeing many farmers looking to continue the positive work being done under new schemes – and the disappointment that follows when applications to CS are delayed or refused. 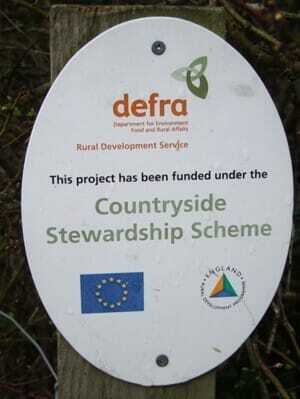 “Defra needs to be capitalising on the great appetite from farmers to continue the work under environmental schemes. At the moment there are no options for the hundreds whose CS applications were refused or proved too complex to apply for; there needs to be a functional scheme to enable farmers to renew efficiently and continue to deliver environmental enhancement.